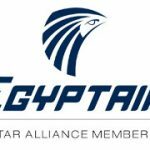 Fawry, Egypt’s first and largest Electronic Payment Network serving consumers and businesses through various channels and thousands of service points all over Egypt; has now extended its services to help ease and please the daily lives of its 10 million customers. With extensive study of the market and the needs of citizens, Fawry managed to include a distinct range of new services, in terms of its ongoing quests to meet the needs and aspirations of their customers, and provide them with all the services they need in their daily lives. Superfawry, the latest service granted by Fawry aims to offer its customers various services of reserving travel tickets and subscribing to newspapers, magazines and internet. To reserve and subscribe customers can simply locate any SuperFawry outlet with its distinctive red logo. In only a few simple steps customers can receive their tickets and subscriptions in less than five minutes; by simply entering their data on SuperFawry system, then choosing the ticket route or the subscription specifications, and finally pay for the service and receive an immediate receipt. The paid service request is channeled to the service provider and the service is delivered to the consumer. 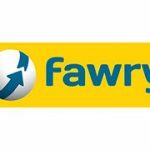 The confidence in Fawry services, as reflected by the high number of users reaching to 10 million last year, prompted Fawry to search for innovative services that understands the real needs of Fawry’s customers.